Tots and pizza don’t have to be kid food. 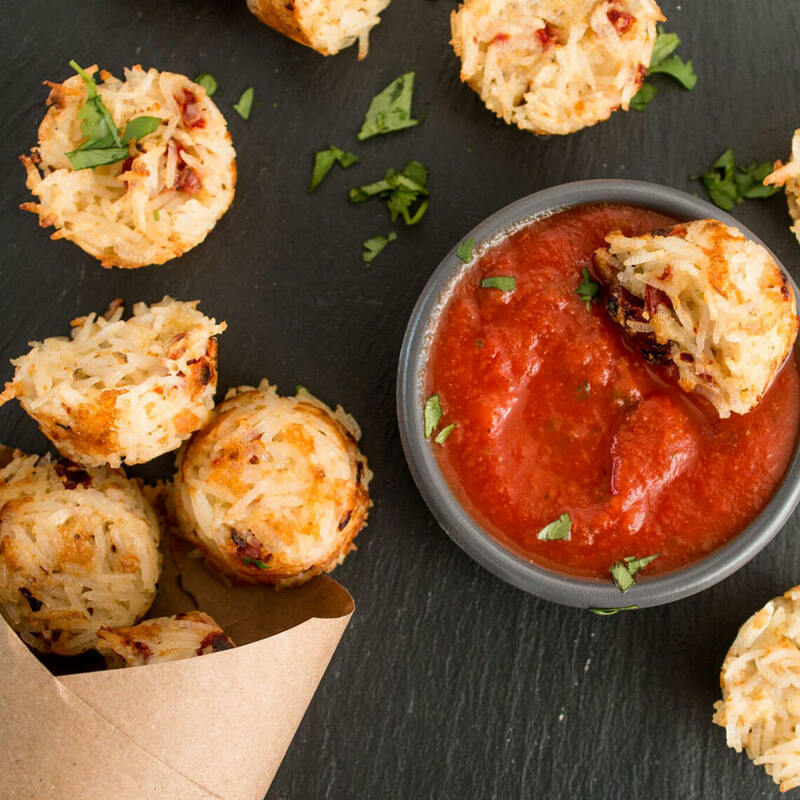 Go ahead and bake up a batch of these crispy and cheesy Pizza Rice tots for a party, for your kids or just for yourself! In a medium saucepan combine rice and 1½ cups water. Bring to a boil, cover, and reduce the heat to simmer until tender, 20 minutes. Let cool. Preheat oven to 425℉. Spray a nonstick mini muffin tin with cooking spray. In a large bowl stir together rice, mozzarella, tomatoes, crumbs, eggs, oregano, salt, and pepper flakes. Divide rice between muffin cups, packing them full. Bake until tots are browned, about 15 minutes. Serve warm with marinara.